Notifications can be extremely useful – making sure you never miss an email, message, or reminder. On the other hand, very few people go to the trouble of setting up their smart device’s notifications correctly. It means the important stuff is drowned out in sea of advertising and unimportant Pinterest updates. Laptops used to be safe from the problem, but that’s starting to change. Microsoft introduced an (acclaimed) universal notification center with their Windows 10 release Windows 10 Release Day: Everything You Need to Know Windows 10 Release Day: Everything You Need to Know The final version of Windows will be released on July 29th, but a lot of things remain nebulous. We have compiled the answers to the most frequently asked questions around Windows 10 and its release. 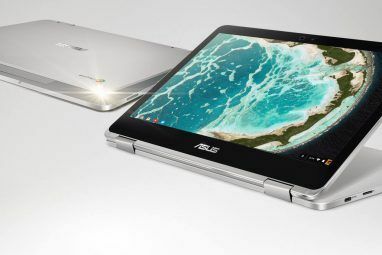 Read More , and now Google are getting their Chromebooks on board as well. 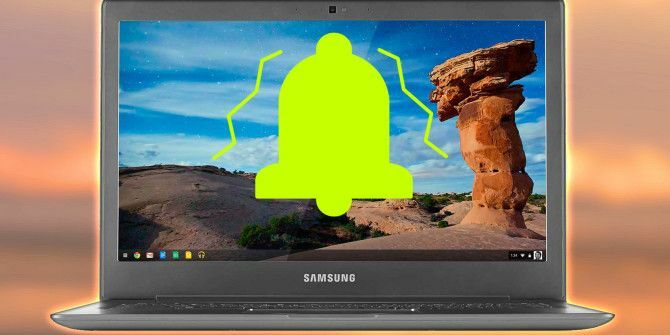 Here we take a look at how to effectively manage your Chromebook’s notifications. Sometimes you need to disable all notifications. Perhaps because you’re trying to concentrate on an important work project, perhaps because you just want to chill out with YouTube Discover The Sound Of Nature On YouTube Discover The Sound Of Nature On YouTube Nature is the best medicine. Natural sounds can decrease anxiety, stress, and pain. If you're listening to music on YouTube while working or doing chores, make nature sounds a part of your day too. Read More and forget about the outside world, or perhaps because you’re trying to avoid Google Now telling you the score on the sports game you’ve got recorded to watch later. Thankfully, Google have make it easy to disable all notifications. Simply navigate to the notification box in the bottom right-hand corner of your screen and click on it. You will be presented with all your notifications that have not yet been cleared. Below the list of the notifications you will see three icons. One of them looks like cog, one of them consists of three horizontal lines, and one of them is an image of a bell with a diagonal line through it. Click on the bell and you will see it turn orange. That’s it! You’ll now be free of notifications until you re-enable them (which you can do by clicking on the bell again and turning it back to grey). (Hint – you’ll only see the notifications box if you have read or unread notifications available. If you’ve cleared all existing notifications by clicking on the three horizontal lines you can easily create a new one by taking a screenshot (hold CTRL and F5 / CTRL and the Windows Button)). Some apps will pester you more than others. Similarly, some apps’ notifications are more important than others. You always want to make sure that you’re notified about new emails, but knowing that your Chromebook’s text editor Four Of The Best Text Editors For Your Chromebook Four Of The Best Text Editors For Your Chromebook Do you miss having a simple text editor on your Chromebook's OS? Although Google scrapped its native app, there are still alternatives available. Read More has updated to the latest version is less important. Luckily, Chromebooks provide a simple way to separate the vital stuff from the junk. Once again, you’ll need to head to your notifications box in the bottom right-hand corner. Follow our hint above if you don’t see it. Instead of clicking on the bell, this time you need to click on the cog icon. It’ll let you access the Notification Center’s settings. A list of all the apps you have installed on your device will pop up. To prevent a certain app from sending you updates, simply untick the checkbox next to it. Keep in mind that some apps might be worth leaving enabled given how infrequently they pester you. In Chrome 42, Google finally introduced website notifications to the Chrome browser, and by extension, to Chromebooks. It was part of the same update that allowed for Dropbox and OneDrive to be integrated into your Files app How to Access Dropbox and OneDrive Files on Your Chromebook How to Access Dropbox and OneDrive Files on Your Chromebook It's now possible to easily integrate your OneDrive and Dropbox accounts directly into the app, allowing you to view your files without having to use the respective web-based clients. Read More and brought Google Now updates and weather notifications to the App Launcher. In practice, the new feature allows any website to send you notifications directly to your desktop, even if the Chrome browser is not running at that time. The notifications are not automatically enabled – when you visit a site that supports them for the first time, you will receive an on-screen prompt asking you if you’d like to turn them on. Sites such as eBay, Facebook, and Pinterest led the charge, but there are now new sites getting involved every day. It can quickly become overwhelming. 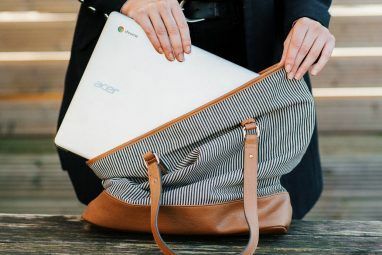 On a Chromebook, they can be managed through the browser’s settings at the moment – though various reports suggest that’s likely to change in future builds. Open your Chrome browser and click on the three horizontal lines in the top right. Then click Settings > Show Advanced Settings > Content Settings > Notifications. Once there you can choose to either allow all sites to show you their notifications, block all sites from showing them, or manually manage them. These new changes reflect Google’s clear desire to bring the Android experience and the Chromebook experience closer together. 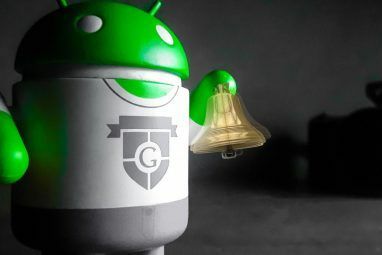 Nonetheless, you might still like to disable all Google’s notification offerings and use your own third-party app of choice instead. We covered some of the alternatives Pushbullet Puts Your Android And PC On The Same Wavelength Pushbullet Puts Your Android And PC On The Same Wavelength Find out how you can keep your Android perfectly synced with your PC -- push your phone's notifications to your desktop, share files, and much more! Read More in great detail in the past. Two of the best are widely considered to be Pushbullet and AirDroid. Both of them will share your Android’s notifications directly with your Chromebook (and any other PC), as well as offering a host of other features like file sharing and chat. Do You Like the New Chromebook Setup? What’s your opinion of the new Chromebook notification center? Do you like it? Do you find it useful or do you just leave everything disabled the whole time? We’d love to hear from you. Let us know your thoughts and feedback in the comments below. Explore more about: Chromebook, Notification, Notification Center. If you mute all the notifications, or in my case I've disabled the screenshot notification, how can get it back? My main frustration comes from that if there is no notification, I cannot pull up that settings menu again until another notification that I haven't disabled (god forbid muted) comes up. If I make my way into settings - advanced settings - content settings, then that screenshot allow/block is not there. What do I do then? This sounds lame, but I'll block facebook from sending notifications, then i'll allow and WAIT for a notification however long or short that may be. This is a major flaw, and I reccommend the developers to leave that "0" square box next to the picture there. Change the 0 to a settings icon, or something. Just, fix this! The problem is that once you turn off the computer and turn it on again, it would show the same notifications over and over again. In order to get rid of them, you need to do the same thing every single day. There should be a way to disable it once and forever. What I would really like (and for what I was searching) is to return to the old style of File Dowenload notifications - whereby each file was listed in a small, narrow box along the bottom of the screen. Arguably, I don't want any download notifications - after all, I know they've downloaded, I just downloaded them! At least with the old system along the lower edge of the screen it was discreet and not intrusive. With the current system, whereby an huge pop up box appears in the middle of the left side of the screen, I find the pop up notification is constantly in the way of whatever work I am doing. Is there any way to either return to the old download notifications or disable them altogether - clicking the bell to turn orange cannot work as when one next downloads, the box reappears.